There are many accessories that will help your computer work better – it will work faster and smarter. While many of these accessories are fairly affordable, some are fairly high-end stuff. 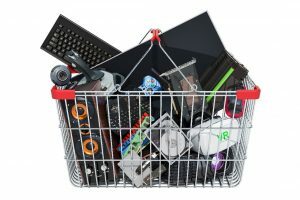 Let’s take a quick look at some of the more popular computer accessories around. Not only can you find a wireless mouse but you can also find better keyboards, touchpads, and trackballs. What do you do if you want a hand drawn image for the computer or would like the digital image of an old photo? Try scanners and drawing pads. If you want more storage space, if you want to back up your data, or if you need to regularly move large amounts of data from one computer to another you need an external HDD. Speakers are not the only multimedia tools available. You can have web cameras and TV tuners to turn your computer into a modern entertainment unit. Laptops are not the only devices of convenience when you are traveling. Try portable peripherals and communication aids to make life even easier. Computers are no longer just about work – they are about play as well. You could look at various gamepads, controllers, and joysticks to help enjoy your games more. If you are going to be spending long hours at the computer, it is important that you are comfortable while working. Ergonomically designed input devices and office furniture are currently proving immensely popular. You can find something to interest your kids as well. Look at input devices and PC desks designed especially for them. It never takes very long for a PC desk to get cluttered with all kinds of disks and for the cables to get all tangled up. You can keep your desk clear of all clutter by keeping all media in smart storage bins and using cable ties to manage your cables. You can protect all your computer equipment from unexpected spikes in the power supply by using surge suppressors and keep your PC going even in a blackout by using a UPS ( uninterruptible power supply ).